SuperbMelt is a reputed manufacturer and exporter of high quality and efficient gold smelters and casting machines. SuperbMelt Gold Melting Furnace, featuring the latest IGBT induction technology is suitable for 1 g to 12 kg gold melting. SuperbMelt Gold Melting Furnace can melt fast gold and other precious metals like copper, silver and palladium in 2 to 4 minutes. This gives it an edge over other similar products available in the market. 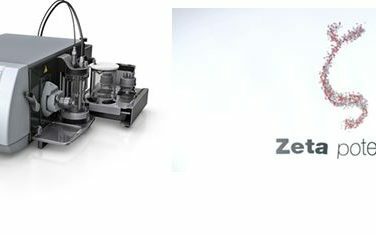 This equipment is useful for jewelry shops, laboratories, research institutes and mining companies. How SuperbMelt Gold Melting Furnace is best for your jewelry shop? • SuperbMelt Gold Melting Furnace has the capability to work continuously for 24 hours at maximum power. • It is light in weight and easily installable. Also, it occupies less space. • The device contains an enhanced monitoring and diagnostics system of SPB-H series which makes it highly stable, reliable and safe. • It is equipped with the IGBT induction technology which enables the speedy melting of metals in just 2-4 minutes. • The use of this furnace helps to save energy, protects the environment and leads to reduced pollution level. • The device is ISO 9001:2015 certified which guarantees its outstanding quality. • The furnace uses solid-state IGBT inverter and power regulation. It is also equipped with soft switch three resonance and frequency automatic tracking technology. • Its protective board is resistant to fire and high temperature. • The machine contains water inlet and outlet. So it can be connected to tap water for cooling it directly. • It has a durable crucible which helps increase its service life and save costs in its maintenance. • Its control panel enables convenient operation. Its multi-protection warning light alerts operators about any threats. • Its 4 direction wheels and 2 fixed wheels enable easy movement and fixing. Why choose SuperbMelt Gold Melting Furnace? • The device comes with a 2 years warranty. It has 100% duty cycle and can work continuously for 24 hours at maximum power. • It melts metals fast in a period of just 2-4 minutes. • Its ISO 9001:2015 certification ensures it is a high quality product. Electric components contained in the device are supplied by reputed manufacturers. • It helps to save energy and protects environment. • The machine is highly stable, reliable and secure. SuperbMelt is a premier manufacturer of outstanding quality and innovative machines for smelting and casting of gold and other precious metals. By providing best products to the precious metal manufacturing businesses, SuperbMelt has been able to build a huge global service network. It also provides expert advice and reliable technical support to its clients globally.